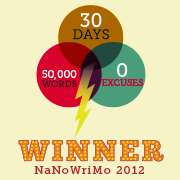 Now that National Novel Writing Month is over (yes, I did it! I’m a winner! ), life “should” be getting back to normal. Pfffft. What’s normal? December certainly isn’t. Besides the holidays, I have to finish this NaNo book, outline Book 5 of the Soul Savers Series, and make sure our plans for 2013 are in order and we don’t need to change anything. I also get to do the whole holiday thing including shopping and all that fun stuff, go to New Orleans for a writers conference and signing (signing on Sunday open to the public – here are the details) and after Christmas, I finally get a vacation. Whew. It’s much needed. But what I absolutely need to do today, right now, this very minute? Announce the winner of the INDIE-Giving Blogfest! I got a little wrapped up in finishing 20k words in five days last week to “win” NaNo, so announcing the winner kind of got a little back-burnered. So sorry, lovelies! Congratulations, Britney! I’ve already sent you an email, so please get back to me so I can mail out your new book. 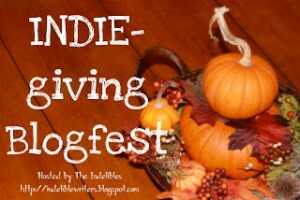 Thank you to everyone who participated in the INDIE-Giving Blogfest! Stay tuned – tomorrow I announce a new HUGE, multi-author giveaway starting soon. I just wanted to say that I think everything you are doing and have done for Domestic Violence awareness is amazing.